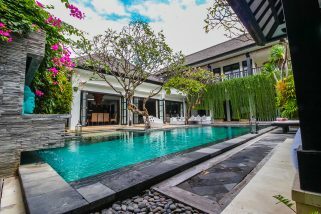 Each villa is based around the crystal waters of its own private swimming pool surrounded by lush greenery and embraces the authentic Balinese concept of outdoor tropical living within its very contemporary design. 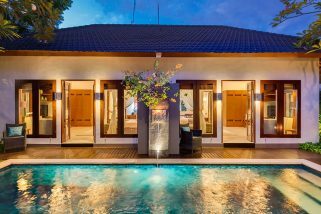 There are two different types of property: The One Bedroom Pool Villa and the One Bedroom Royal Pool Villa which both offer very similar accommodation with the latter offering a more luxurious setting. Both properties feature separate, traditionally thatched cottages which house the living area and the bedroom. The living space comprises of a sitting area with Satellite TV, DVD player and IPod dock., a kitchenette and a dining area. This is housed underneath a towering alang alang roof with open sides, very like a pavilion, delivering guests directly into the warm embrace of the balmy outdoors. 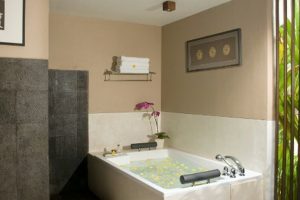 If you don’t fancy cooking you can always order room service from the restaurant and a butler service is also included. 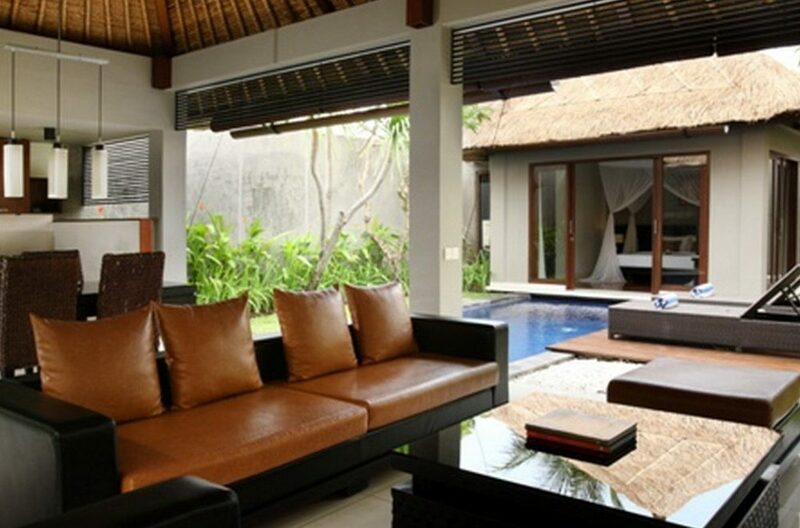 The lovely garden has lots of tropical palnting and a wooden deck with sun loungers and an umbrella. 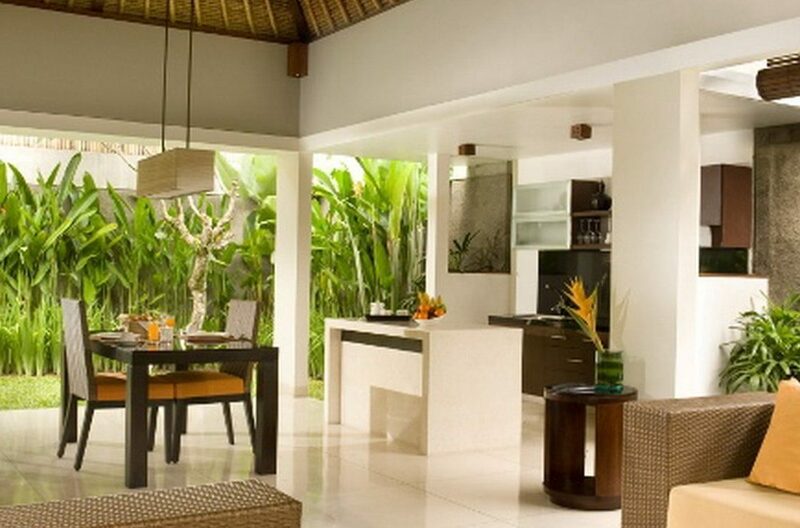 Free Wi-Fi is provided throughout the villa. 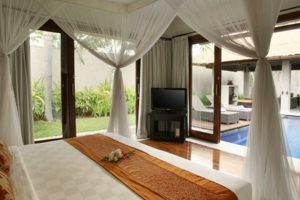 The bedroom is located at one end of the swimming pool and is entered through large patio doors which gift the room with plenty of natural light and a handsome view. 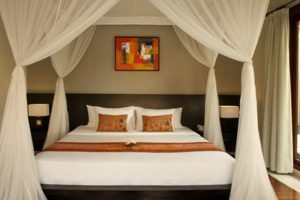 This room is furnished with an opulent king size canopy bed and is fully air-conditioned creating a cool comfortable space to retreat to. There is also a Satellite TV and plenty of storage. Adjacent to this is a luxury bathroom with a bath and a shower. 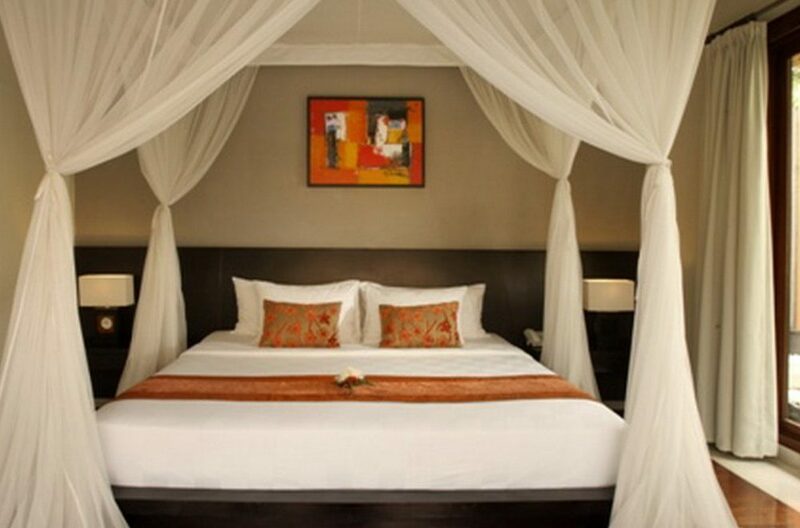 Villa Jerami has a range of accommodation, also including 2 and 3 bedroom villas and with all the facilities here it is the perfect location to cater for an exotic wedding or special occasions. 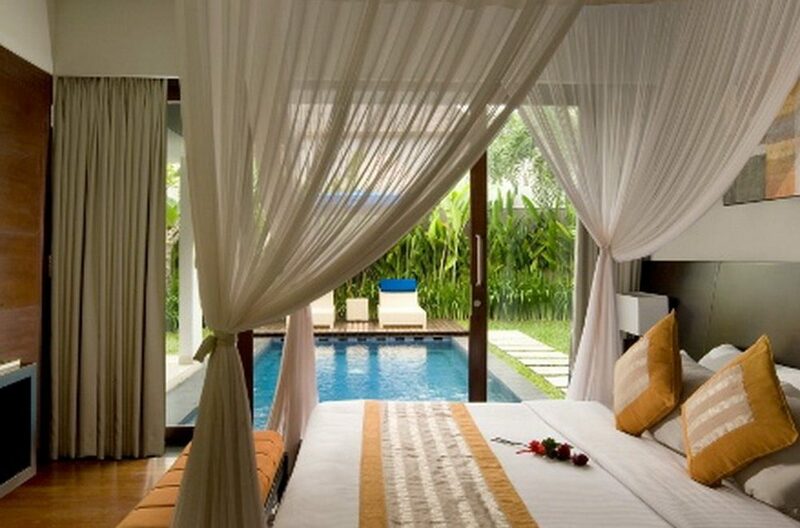 Located in Seminyak with an abundance of high end boutiques, eateries, coffee shops and beach clubs nearby, this is the perfect location to start any island adventure.